There was tension on Tuesday on Ope-Ewe Street, in the Ijaiye-Ojokoro area of Lagos State, after the corpse of a man was found in a shop veranda on the street. Punch Metro learnt that the victim, who reportedly visited friends in the area regularly, had vomited blood and gone to a private hospital in the community on Monday. He was said to have been referred to a general hospital for further treatment. Punch correspondent was told that the victim collapsed in the shop veranda, where he gave up the ghost. Some community leaders were said to have alerted the police to the scene. 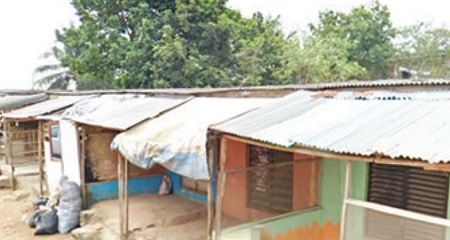 Policemen from the Ijaiye-Ojokoro division reportedly arrested all the occupants in the two houses close to the scene of the incident on Tuesday. A community leader, who spoke on condition of anonymity, said the deceased might have survived if he had heeded doctor’s advice to go to a general hospital. He said, “The incident happened on Monday. The man had been vomiting blood and he went to the hospital from where he was referred to a general hospital. But instead of going to the hospital, he probably decided to resort to self medication. “Later in the night, the problem started and became more severe. It was around 12 midnight that he died in the shop. A witness, Joy Ibidun, said she went to the area to plait her hair when she saw the police making arrests. The state Police Public Relations Officer, Chike Oti, said he was not aware of the incident, but promised to call back.